Food and beverage writer Kirk Richardson is on a quest in search of North America’s best craft breweries. Pint in one hand and pen in the other, he’s sampled some of the best beer on the planet, from luscious lagers to enticing IPAs and seductive stouts, while visiting with the brewmasters who made them. 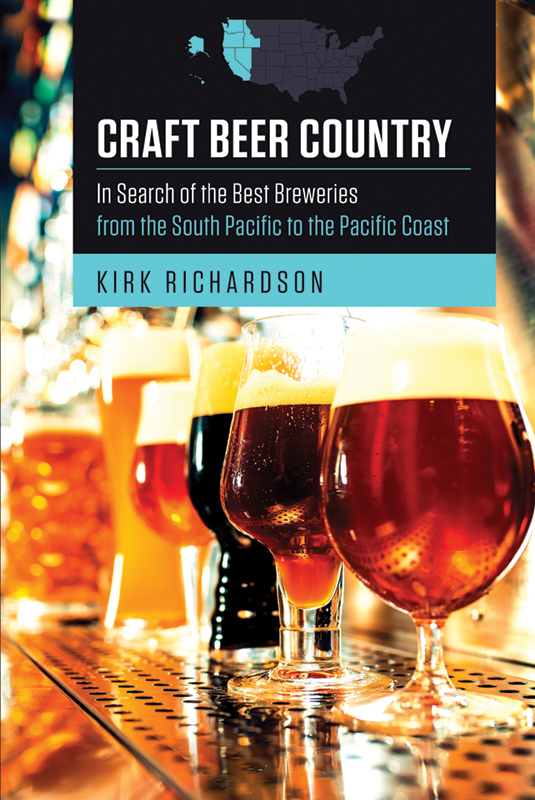 In the first of his four-book North American series, Craft Beer Country: In Search of the Best Craft Breweries from the South Pacific to the Pacific Coast, Kirk captures the best in the west, from the shores of Maui; to beer-crazy cities like San Diego, Portland, and Seattle; to remote outposts in Port Townsend, Hood River, and Juneau. 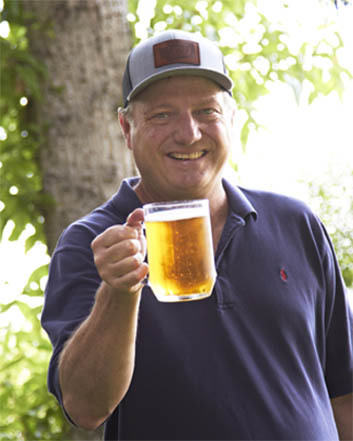 Kirk lives in Oregon’s picturesque Willamette Valley with wife Lisa, dog Tally, cat Louie, and two refrigerators full of craft beer. He enjoys those ales and lagers with good backyard barbecue and other cuisine, unless he’s off somewhere meeting old beer buddies and making new friends at breweries far and near. In his spare time, he writes the Craft Beer Country Blog, his observations and reviews of brews, pubs, and places worth exploring.